At The Law Offices of Jeffrey A. Ellis, PLLC, I am proud to provide outstanding legal services to my Rosemount, Minnesota, clients whenever they have a business or tax law issue or questions about executive compensation or estate planning. My goal is to use the skills I have developed as an attorney to put each client in the best possible position. My law office is dedicated to serving corporate and individual clients in a wide variety of projects ranging from the simple to the complex, and I have nearly 20 years of experience doing exactly that. Some business clients need a simple business contract; others require a complex merger agreement or the resolution of a challenging business situation. Some individual clients need a simple will; others require comprehensive estate planning solutions. 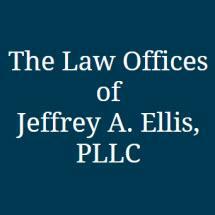 The Law Offices of Jeffrey A. Ellis, PLLC, is conveniently located in the Twin Cities area of Minnesota, and I provide practical, knowledgeable and cost-effective local representation to people and businesses in Apple Valley, Eagan, Farmington and throughout the region. I am also very active in my local community. I am a member of the Dakota County Regional Chamber of Commerce, President of the Rosemount Rotary Club and am a founding member of the Board of Directors of the Rosemount High School Foundation. Whatever the legal issue, whatever the project, I am committed to giving my individual and corporate clients the personal attention they deserve. My extreme attention to detail gives them the confidence that I fully understand their legal issues and the satisfaction of knowing that I am treating them with care and respect. In addition, I offer flexible appointments and free initial consultations.